My second choice in the Cult Movies marathon is David Lynch's first film, Eraserhead, which reveals both his original style and ability to utterly confuse even the most attentive viewer. I have more questions than I could ever answer about this intriguing movie. Basically, the story depicts Henry Spencer (John Nance) — a factory worker with an excellent haircut whose life is drastically altered when his girlfriend (Charlotte Stewart) becomes pregnant. Their premature child is a strange mutant baby who’s constantly screaming, and that’s just the beginning of the craziness. Henry enjoys watching the lady in the radiator (Laurel Near), who sings eerily on a miniature stage near his bed. He also experiences very loud household machines and strange visions, including some featuring his death. David Lynch has a reputation for weird films, but nothing I’ve seen comes even close to matching this surreal experience. Even the craziest scenes from Mulholland Drive and Twin Peaks don’t maintain the sense of dread and utter weirdness that pervades Eraserhead. It’s definitely unique and is perfectly suited to midnight movies and special screenings. 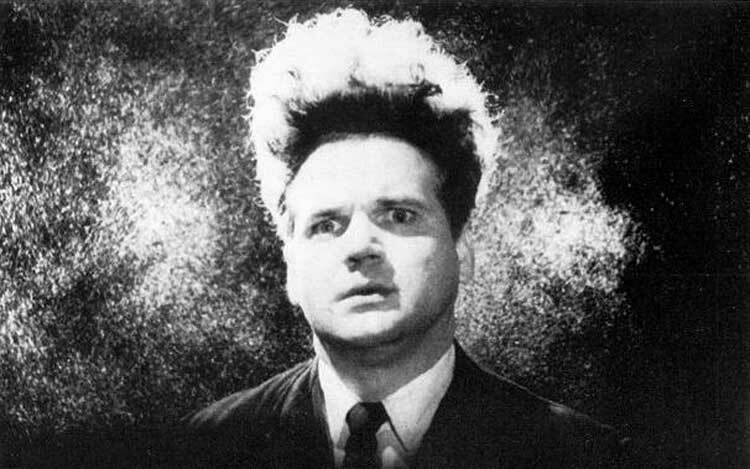 It’s impossible to place Eraserhead into a particular genre. The setting feels like a post-apocalyptic sci-fi environment, but the story goes well beyond any conventions. Each industrial machine loudly threatens the few humans in existence, and the houses are absurdist messes. The head-scratching story is both exciting and maddening, and only Lynch knows the meaning behind it all. Even David Lynch’s less-successful efforts are never boring, and this film clearly stems from his singular viewpoint. Created over a period of five years with almost no budget, Eraserhead possibly depicts Lynch’s fears of impending fatherhood, time living in a rough area of Philadelphia, and original filmmaking style. The choice of black-and-white elevates the unsettling atmosphere and otherworldly feeling of the entire picture. Basically every frame of Eraserhead will haunt my dreams and waking hours. There’s enough disturbing imagery in just a few minutes than most films have in their entire running times. The mutant baby is especially creepy, and the mystery just grows from there. Lynch weaves the camera into uncomfortable angles and close-ups, and determining any clear plot is almost impossible. However, I did appreciate seeing his first film and it will stick with me for a long time.